Alexandra “Alex” Reid knew it was time to change her life when she dropped out of a friend’s wedding a week before the date because she was afraid that she wouldn’t be able to fit in the bridesmaid dress and that her weight would make her stand out among the other slimmer bridesmaids. 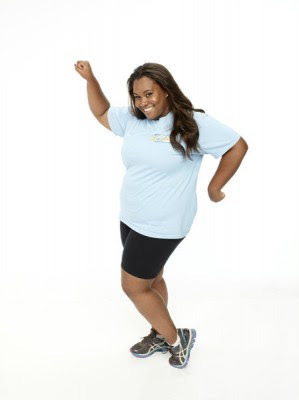 Alex joins 17 other contestants on Season 14 of The Biggest Loser which kicks off January 6 on NBC from 8-10PM and continues Monday, Jan. 6 at 8 p.m.
Alex was born and raised with a younger sister in North Carolina until age 12, when she relocated to Louisiana due her parents’ divorce. She ultimately ended up in Dallas, Texas at age 14, and today she resides in Carrollton. She started really gaining weight at age 18, due to her emotional eating, a fondness for fast food and soda and having to take steroids after being hospitalized for ulcerative colitis. Alex looks forward to losing weight so she can wear all the revealing clothes that summer brings, like a bikini, strapless tops and shorts, and finally feel comfortable in her own skin. She also looks forward to rock climbing, hiking and knowing exactly what size she wears.